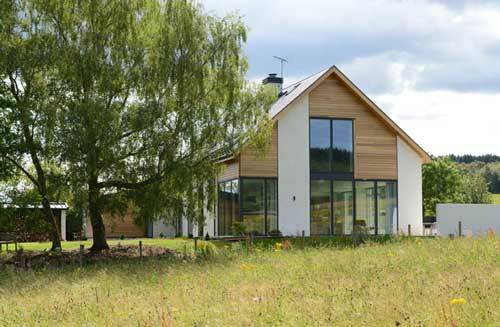 A new build family home by M&J Design has received national media attention. The house, in Moray in the north east of Scotland, featured in "Homes and Interiors Scotland" magazine (issue 105, January and February 2016). M&J Design were responsible for both the architectural and interior design of this project, which creates a stunning family home with impeccable low carbon credentials. You can read more about this new build project here, and about the interior design here. 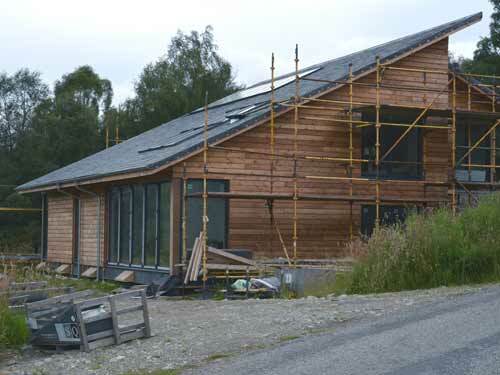 A new 4 bedroom home by M&J Design is nearing completion in Glen Urquhart in the Scottish Highlands. The house uses a reinforced concrete pod foundation design which reduces the concrete required by 80% over a conventional slab. 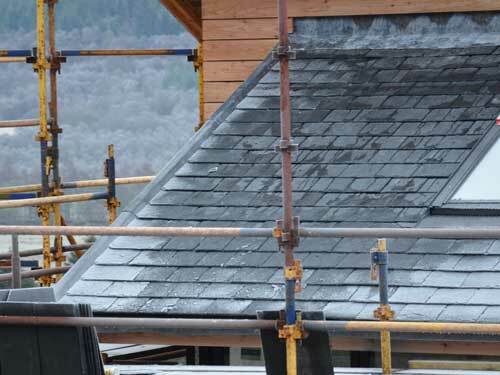 Above ground, the timber building is clad in a rainscreen made from locally sourced larch; its unique appearance results from the large, monopitch slate roof. 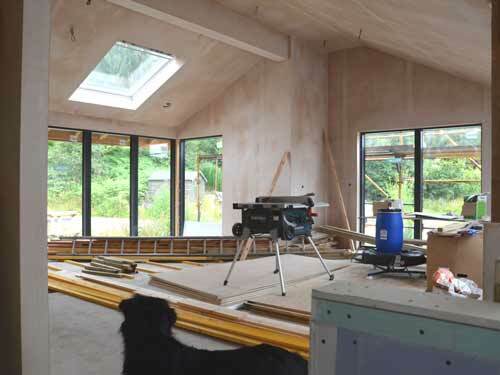 The interior of the property features double height spaces and large, south facing windows and rooflights, providing high levels of solar gain - and stunning views. 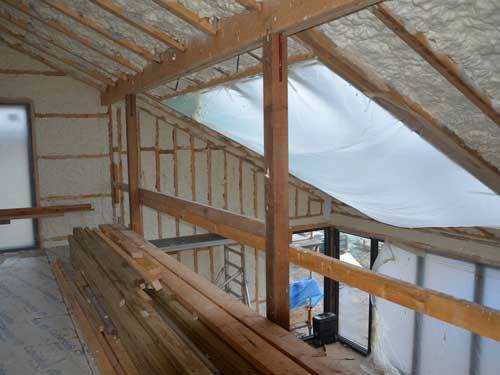 The solar gain, combined with excellent levels of insulation from Icynene spray foam (supplied by www.kishornltd.co.uk) and a heat recovery system, are expected to lead to a very low heat requirement. The design includes roof mounted solar thermal panels, and a large log burning stove for additional heating during the darker winter months. 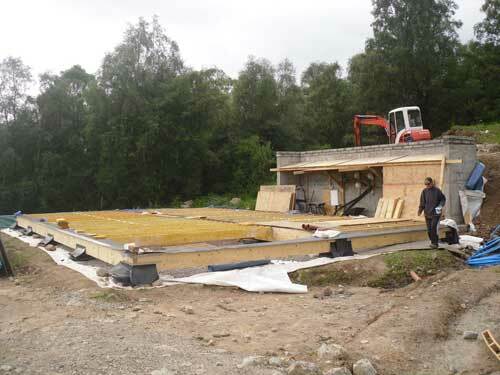 Underfloor heating, baths and showers will be supported by a 1000 litre thermal store. 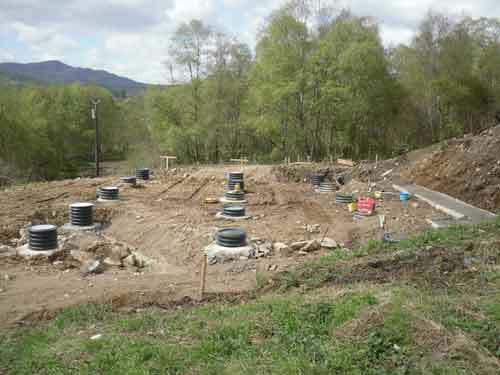 A rainwater harvesting system will add to the house's eco credentials.